01 March 2019 (Toronto, ON) — Today, GRAMMY® Award-nominated multiplatinum powerhouse trio and arguably the definitive pop group of the 21stcentury— Jonas Brothers —return with a new single and official video for “Sucker” via Republic Records/Universal Music Canada, the country’s leading music company. After six years dormant as a group, Nick Jonas, Joe Jonas, and Kevin Jonas turn up with a confident, charismatic, and catchy anthem. Produced by Ryan Tedder and co-produced by Frank Dukes, “Sucker” shakes from a slick beat, shuffling claps, and raucous guitars towards a whistling bridge and the fiery and funky refrain. Upon its release, the band shared an appropriately cinematic video for the song. 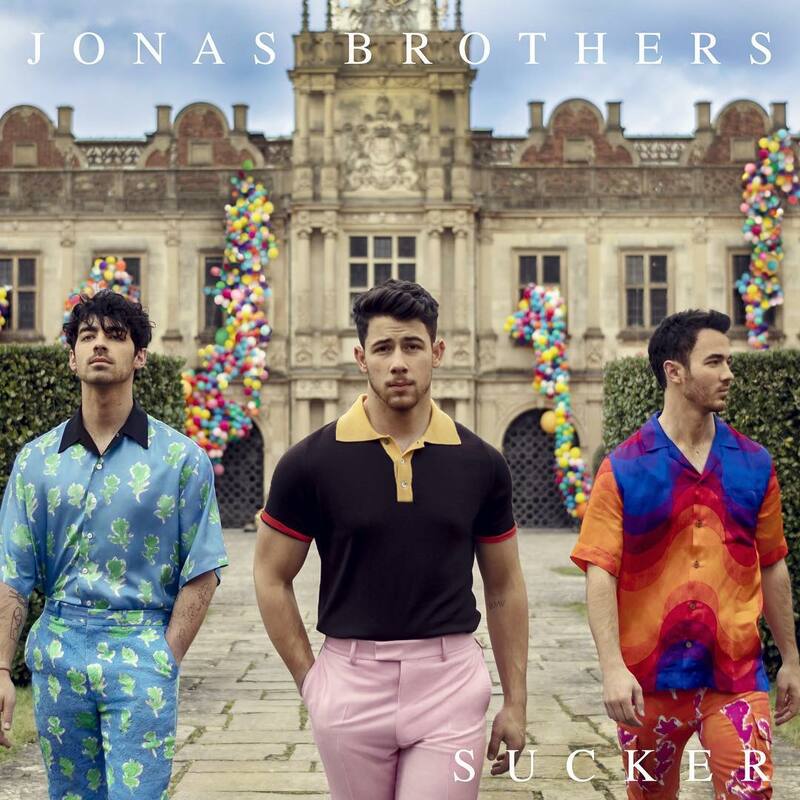 Shot in the UK by director Anthony Mandler at the Hatfield House, the video also features the brothers’ significant others: Danielle Jonas, Priyanka Chopra Jonas, and Sophie Turner. DNCE drummer Jack Lawless also appears in the video—which will have its broadcast premiere on MTV Live, mtvU and on the Viacom Times Square billboards.